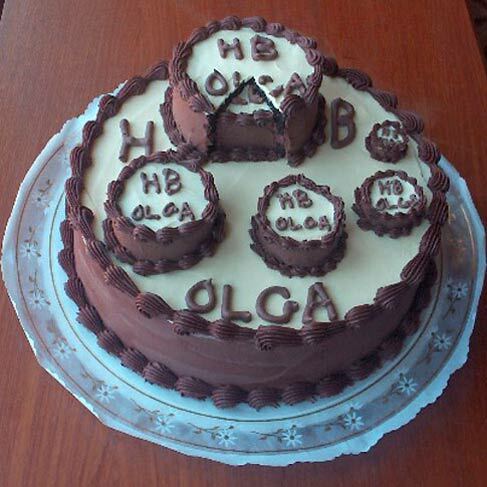 Chocolate Cake with Chocolate Fudge Buttercream Filling, side icing and Decorations. Mousseline Buttercream top cake Icing. 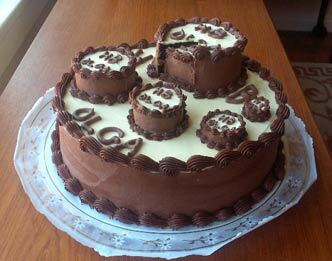 Egg-less Chocolate Cake with Chocolate Fudge Buttercream Filling and Pink Buttercream Icing. 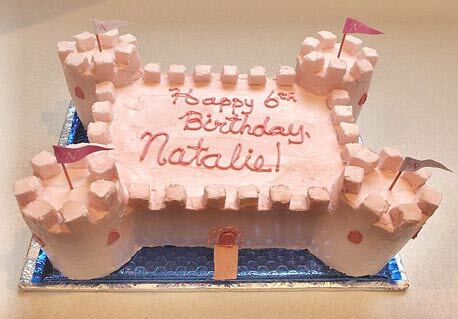 Drawbridge is Pink colored white chocolate and Crenellations at the tops of the towers and the ramparts are pink iced sugar cubes.